Remove the seeds and stems from the chilies (Make sure they’re submerged in water) and boil for about 5 minutes or so until soft. 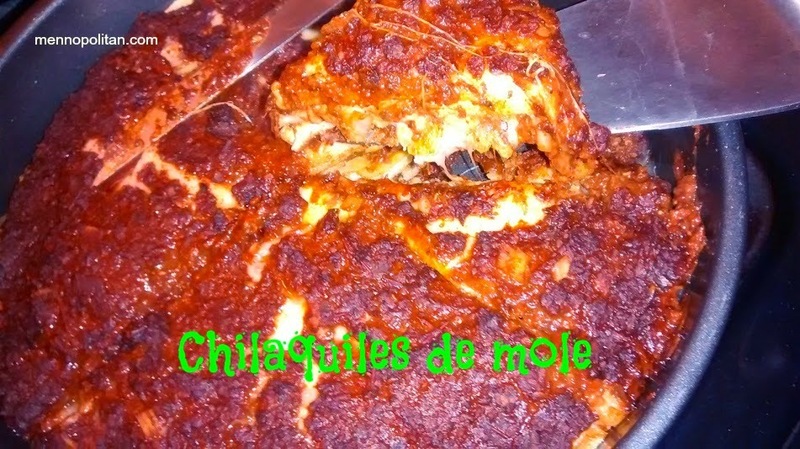 puree the chiles in a blender or with a hand blender. If the skins are tough, you may want to pass the puree through a food mill or strainer. In a small skillet, sauté onion in vegetable oil until soft and translucent. Add garlic, and sauté another minute. Add spices and cook, stirring constantly, for about 30 seconds, being careful not to let them burn. Add to the chili puree in the blender, the toasted almonds, the cooked onions and garlic, raisins or prunes, sesame seeds, salt, pepper, water, and melted chocolate, then puree until smooth. Add additional water, if necessary, until the consistency is smooth and slightly pourable. Spread a good amount of mole sauce in the bottom of the pan, layer the corn tortillas, add the cheese and sprinkle raw onions as you like. Repeat these layers three times and bake at 350°F for 15-20 minutes. 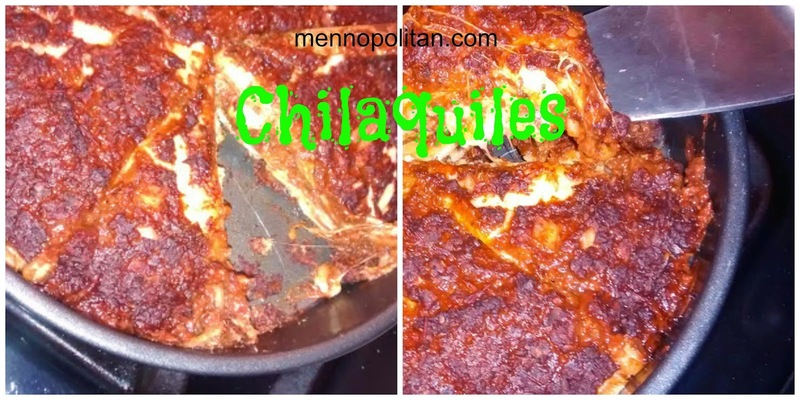 I prefer this Chilaquiles de mole recipe without meat, but you can easily add your favorite kind of cooked meat to the layers like pulled pork or chicken.